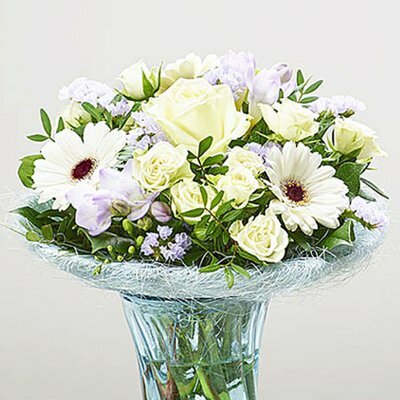 These fabulous cool lilac, blue and purple tones look sensational partnered with pristine white blooms and the freesia have a gentle scent which only adds the pleasure of this gift. 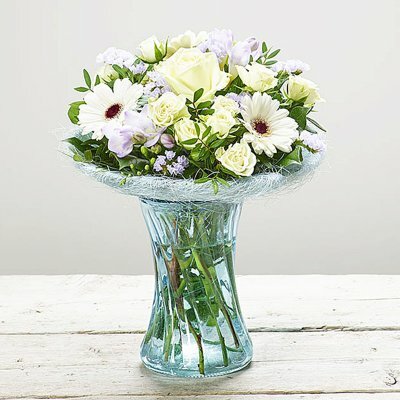 We’ve arranged everything beautifully in a pretty glass swirl vase with light blue sisal collar. 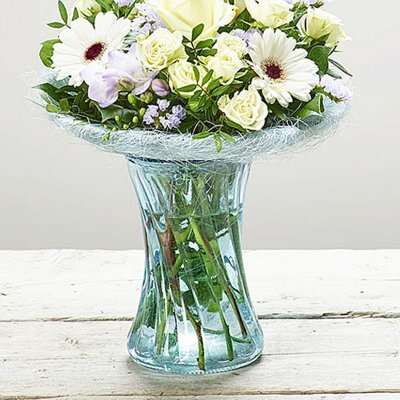 to create a fresh, uplifting display that will look lovely in any room. 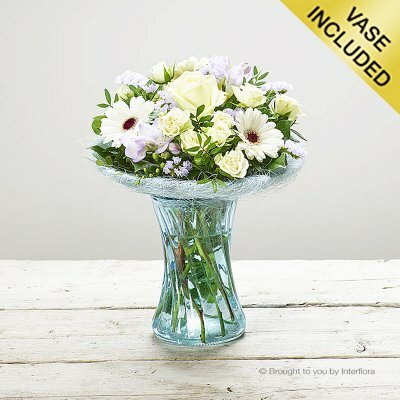 Featuring: a white large headed rose, white germini, white spray chrysanthemums and purple freesia, with purple statice, salal and pittosporum, arranged in a blue swirl glass vase with light blue sisal collar finished with flower food, card and envelope with your personal message in..